The federal senate has spent the day arguing about Senator Dean Smith’s marriage bill. Working into the night the senators have addressed a large number of proposed amendments to the bill with each subsequent proposed changed knocked back. Five amendments put forward by Senator James Paterson and Senator David Fawcett have failed to gain support despite hours of arguments claiming that additional religious protections are needed for schooling , charities and celebrants. At times the debate descended into school yard bickering, Senator Ian MacDonald called for elements of the amendments to be separated into individual votes, and looked visibly frustrated when the Acting Deputy Chair knocked him back on two occasions, citing parliamentary procedures. When The Greens Senator Peter Wish-Wilson was sitting in the chair he had a vocal exchange with Senator Eric Abetz and Senator Ian MacDonald. Senator Matt Canavan was one of the Coalition Senators bemoaning the lack of Labor senators arguing against marriage equality, at one stage taking out a calculator to work out the probability that they all agreed. 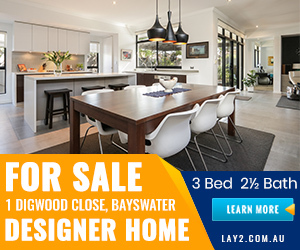 Time and again the Liberals Senators Concetta Fierravanti-Wells, Matt Canavan alongside MacDonald, Abetz and Paterson raised their concerns about the bill. Each time Labor’s Penny Wong, the Liberal’s Dean Smith and The Greens’ Janet Rice, and others, argued against the changes. 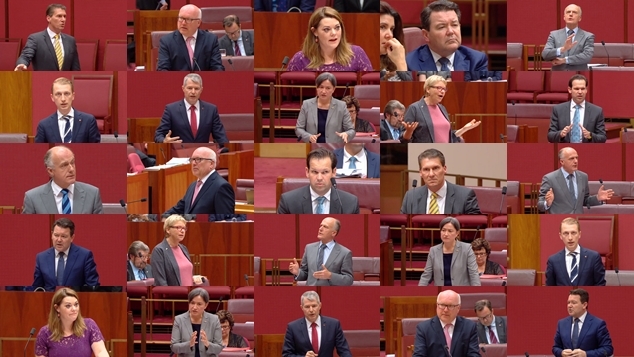 Government senators including Marise Payne, Simon Birmingham, Dean Smith, Linda Reynolds and Jane Hume stood alongside Labor, The Greens, the Nick Xenofon Team and Senator Derryn Hinch, voting against the amendments. The debate followed a morning filled with speeches from both sides of the chamber arguing for or against marriage equality. At times the debate strayed into unexpected territory. One Nation Leader Pauline Hanson delivered a bizarre speech arguing that the 1967 referendum that gave aboriginal Australians the right to vote and generated unexpected consequences and declared that very few gay couples actually want to get married. Colleague Senator Brian Burston complained that he had never received his survey papers from the Australian Bureau of Statistics, before describing homosexual marriage and heterosexual marriage to be so different it would be like trying to mix ethanol and water. Next the senate moved on to discussing further amendments put forward by Senator Matt Canavan and Senator George Brandis. The debate continues.